I believe in being of service to others. It’s the right thing to do and I was taught that at an early age. I grew up watching my mother volunteer at my school, doing everything from baking cakes for the school carnival, to serving on the PTA, to being a room mother. She volunteered to drive kids to choir practice and swim team. She went on field trips (including one memorable one to a turkey farm where I learned that my mother can do a mean turkey gobble that attracted the flock!) and took scared kids home with us during a tornado emergency. It was just what you do. I remember years ago not feeling I was doing enough service. I am not sure who I thought was keeping track of this, but I felt like I should be doing more. 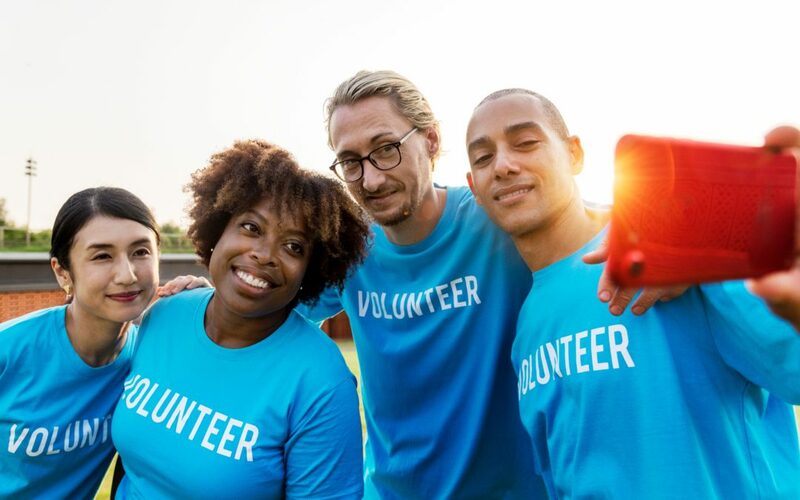 In an effort to both prove that theory to myself and “them”, whoever they were, I took the time to assess where I was spending my time – and where I could fit in some type of volunteer activity. I noted that in addition to being a mother and wife and working full-time, I was also running a committee at the PTO, teaching Sunday School and participating in a carpool for kids sporting activities. Sure, I could have squeezed in yet another commitment somewhere, but why did I feel like I needed to do that? I know people who serve on multiple boards, volunteer at their church or synagogue, and do other volunteer activities. If that works for them, fabulous! Volunteering is admirable and necessary and I bless those who do it. I can find myself starting to slip into a “compare mentality” when I look at their life versus mine. I start thinking I am not doing enough – and am back to that concept that “they” are keeping track. I have learned, when I find myself going there, to pull myself back to the here and now. I am service to others in my own way. I choose to live my live in kindness, finding small ways each day to assist another person. I don’t need to fill my resume with volunteer positions. I choose to live well, not merely look good.